N 6662 - Top Mount Pocket Door roller Mounting Bracket, 1 per pkg. N 6665 - Closet Door Roller Bracket, Extruded, Monarch Doors, 1 per package. N 6872 - Closet Door Roller Bracket, Extruded, Contractor's Wardrobe, 1 per package. N 6891 - Side Mount Roller Bracket for Pocket or Closet Door Roller Assemblies, 1 per pkg. 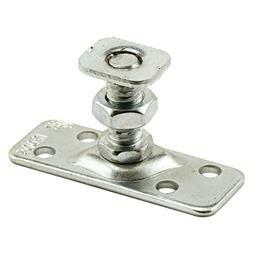 N 6892 - Side Mount Roller Bracket for Pocket or Closet Door Roller Assemblies, 1 per pkg.